What To Do If My Child Knocks His/Her Tooth Out! It is a frightening experience for any adult or child to have a tooth knocked out near La Grange, IL. This condition is also known as an avulsed tooth. The steps you take immediately following the event directly impact whether or not the tooth can be saved. There are three likely scenarios. The tooth has been avulsed or completely removed from the socket in one piece. A dental subluxation occurs when the tooth has been knocked out of alignment and is loose but still remains in the socket. The tooth has cracked off during a traumatic event, but part of the tooth still remains in the socket. If a baby tooth is avulsed, we typically do not attempt to re-implant the tooth. Often times, the space can be left until the permanent tooth comes in. If the x-ray examination at our dental office in La Grange, IL indicates that the child's permanent tooth will not erupt for more than a year a space maintainer may be placed to hold the space open. Teeth like to touch. When a space exists for too long, the other teeth tend to drift or tip which may prevent the permanent teeth from erupting into proper position. Orthodontic treatment is always an option to correct misaligned teeth near La Grange, IL, however placing a space maintainer can prevent the drifting that can occur when a tooth is prematurely lost. When a baby tooth is knocked out of proper position it can usually be positioned correctly and reattach. If the permanent tooth isn't far from erupting, Dr. Balice at La Grange Dental Associates may recommend simply removing the loose tooth. When a tooth is cracked during a traumatic event, repair may be possible. If the broken section is small, a tooth-colored filling material near La Grange, IL can be used to replace it. If it has broken close to the gumline, and it can't be reattached, the remainder of the tooth may need to be removed. Dr. Balice may recommend a space maintainer in La Grange, IL. 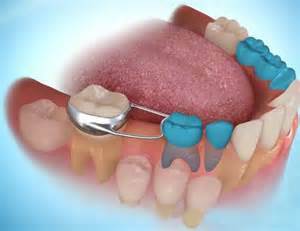 When a permanent tooth is completely avulsed, the best course of action is to place the tooth back in the socket. If a parent is not comfortable reinserting the tooth, call our dental office in La Grange, IL as soon as possible. You may have heard that it is best to transport the tooth in milk. This is not the optimal medium to use. If the child is old enough not to swallow the tooth, have him or her hold it in their cheek. The natural environment of the mouth and saliva is ideal. If this is not possible, tap water would be the second best choice. Once local anesthetic has been utilized, Dr. Balice can gently reinsert the tooth. If a dental subluxation of a tooth occurs, there is a good chance the tooth can be saved. Get the child to La Grange Dental Associates as soon as possible to reposition the tooth correctly. In either of these two scenarios, a splint may be placed to keep the tooth in the correct position. A small wire or mesh is bonded to the traumatized tooth as well as the neighboring teeth. The splint can be bonded to the back of the teeth so it isn't visible. This will help to stabilize the tooth while the body heals and reattaches to the tooth. When a tooth is cracked and broken during a traumatic event it can often times be saved as well. Unfortunately, the broken piece cannot be reattached. Frequently a tooth-colored filling material can be bonded to replace the missing section. If a larger portion of the tooth has fractured, a veneer or crown can be utilized to restore the broken section. When the nerve chamber has been exposed during the trauma, the nerve may need to be removed prior to restoring the tooth. Sometimes years after a tooth has suffered a traumatic blow, the nerve can die. The tooth may take on a darker appearance, or an abscess (infection of the nerve and blood vessels of the tooth) may occur. A dead or infected nerve must be addressed. See your dentist at La Grange Dental Associates if you observe these symptoms. 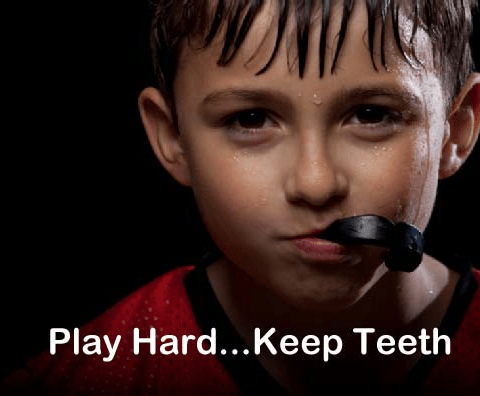 Dental trauma can be prevented during sports. Dr. Balice at La Grange Dental Associates can make a simple custom Sport Guard to cover and protect the teeth near La Grange, IL. While many sporting organizations do not require them, prudent parents provide them for their children. Making a sport guard is a simple and inexpensive procedure. We take an impression of the teeth, to provide for a custom and comfortable fit. Kids love to choose from a variety of fun colors and designs. When an oral trauma occurs seek medical attention first to address more urgent medical needs such as head trauma. 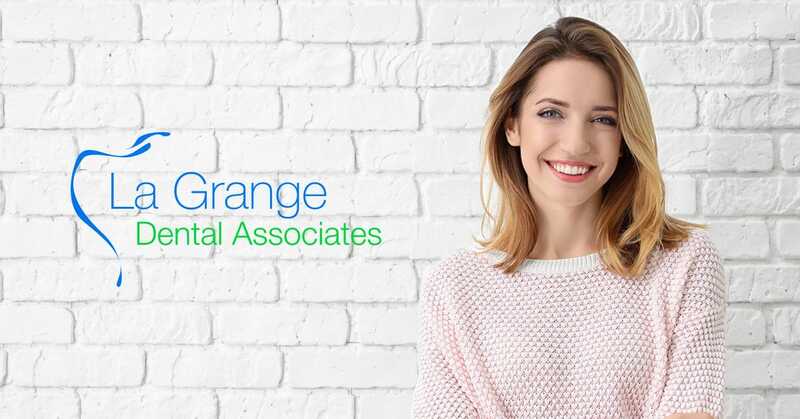 If no other medical needs exist, call La Grange Dental Associates as soon as possible. The sooner the situation is addressed the better the chances are that the tooth can be saved.